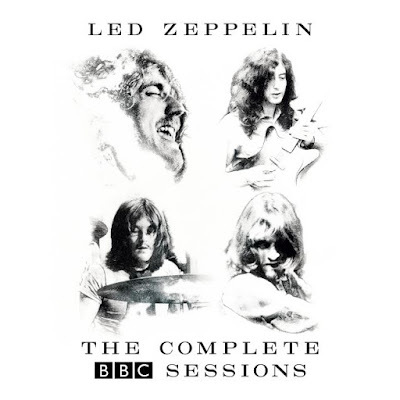 Led Zeppelin’s expanded reissue package, “The Complete BBC Sessions”, has delivered the band their highest UK chart position in more than three decades. Vintage Vinyl News reports the project – which presents live recordings selected from Led Zeppelin’s appearances on BBC Radio between 1969 and 1971 – enters the Official Album Charts at No. 3, marking the highest UK chart spot for the group since 1979’s “In Through The Out Door” landed at No. 1. Since that time, the band’s best showings were "Coda" (1982 / No .4), "Mothership" (2007 / No. 4) and "Celebration Day" (2012 / No. 4). “The Complete BBC Sessions” is also the UK’s top selling Vinyl Album and Rock & Metal Album this past week. "The Complete BBC Sessions" is available in multiple formats, including 3CD and 5LP Deluxe Editions, digital download and a 3CD/5LP Super Deluxe Boxed Set.